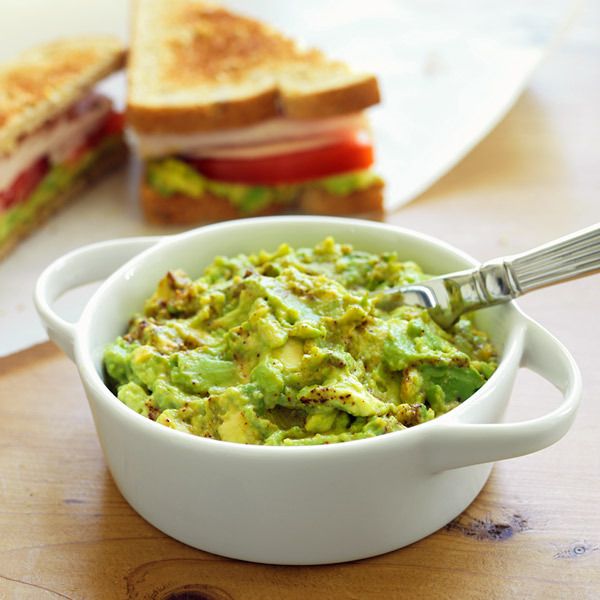 Break out of the mayo/mustard rut and spice things up with this fresh avocado sandwich spread. Made with Hass avocados, lime juice, honey, chipotle chili powder and salt, this tasty avocado spread is great on a variety of wraps and sandwiches. Be warned: This fresh and healthy mash-up will have your lunch crowd clamoring for more! In medium bowl, combine avocados, lime juice, honey, chipotle powder and salt. Gently mash with potato masher. Use ¼ cup per sandwich.